Welcome To Hello Fab Skaters! for People of All Ages! 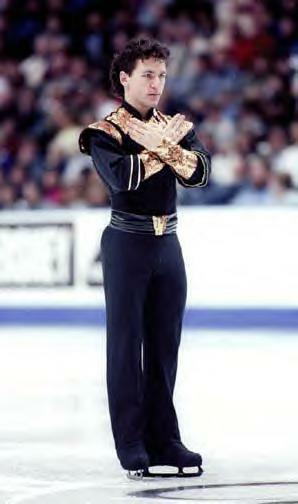 Elvis Stojko is back! Well, back to amateur competition anyway. After missing competitions all this season, I guess he realized how much he missed it. This season he was on tour and was in Washington commentating for the Men's competition. So he's back and is going to be ready for next season! On this home page we might talk about how we originally got into figure skating and why we enjoy it so much. We might also list our favourite skaters, jumps, spins, dances and skills. We hope you love this site and keep checking back to it. Don't forget to sign our guestbook below and let us know what you think. Or you can send us a private e-mail with comments and suggestions. This is me doing a layback in my awesome red dress (that my Mom made) at Interclubs 2002. I WON!! !